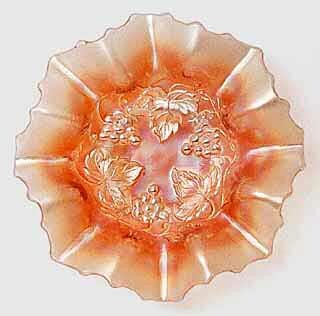 Found only in small (about 7 inch) bowls and an occasional rosebowl. 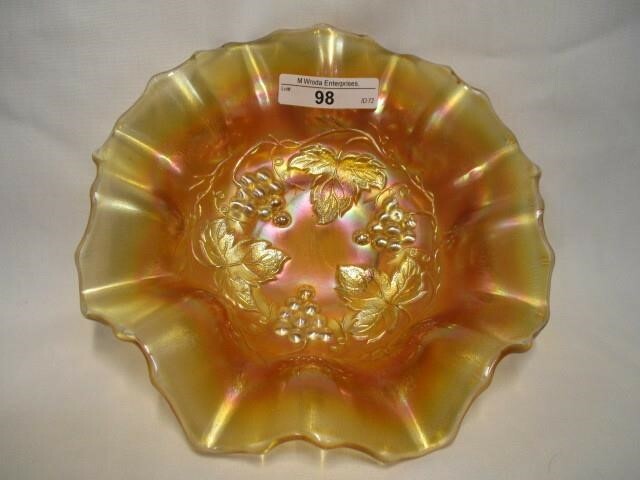 Mostly seen in marigold, but Carl O. Burns reports amethyst and possibly green and Samantha Prince reports that she has a rose bowl in pink afterglow. 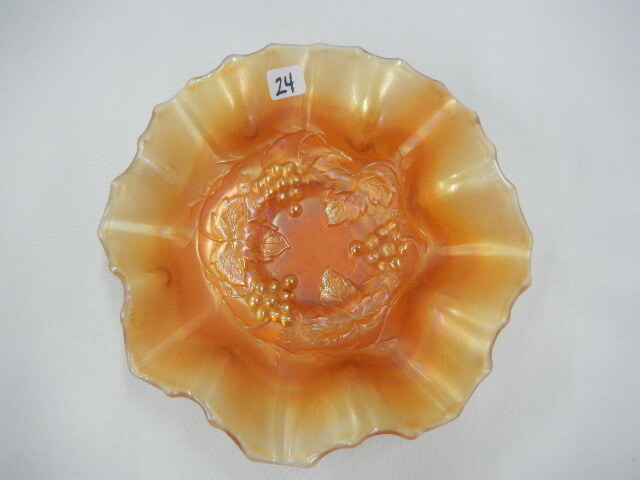 The marigold bowls are worth between $10 and $15; the rose bowls $20 to $25. 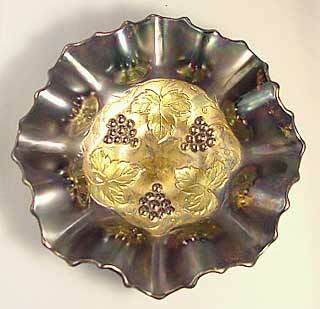 In 2006, Don Hiltunen sent this photo (above right) of a most unusual Golden Grape bowl with gold decoration. 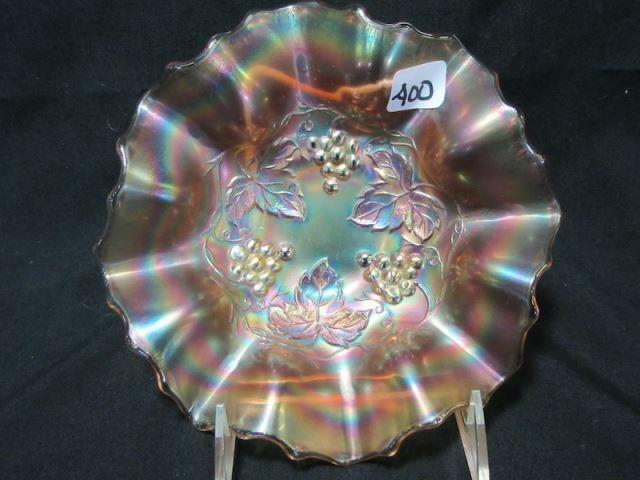 In 2011, a bowl in pink sold for $30.